Storage :Lyophilized GHRP-2 is stable at room temperature for 90 days,however it should be stored in a freezer below -8C for any extended period of time. 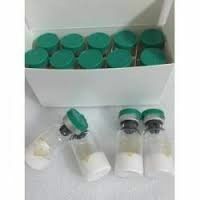 After reconstituting GHRP-2 should be refrigerated at temperatures not to exceed 36 F.
GHRP-2 and Ipamorelin are all very similar in their modes of action, they work to increase Growth Hormone (GH) levels in the human body by increasing secretion of the hormone Ghrelin. On a milligram for milligram basis they are all fairly equal in their ability to increase GH levels in the human body, with GHRP-2 being slightly more efficient.